The Theater at the Fort, located in Historic Fort Benjamin Harrison is a 200-seat theater that is equipped with new lighting (LED) and sound equipment, concessions including beer/wine and box office staff in the lobby. Theater at the Fort has a proscenium, wood-floor stage, three traveling side-wing curtains on each side and one main curtain. 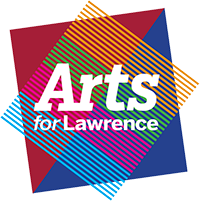 Arts for Lawrence is a 501(c)3, non-profit organization that connects arts and community to inspire everyone every day. As part of our mission, Arts for Lawrence promotes various art forms at the Theater at the Fort, including, performance art, dance, theatrical, storytelling and literary arts. The Theater at the Fort welcomes all artists and performers including, professional, emerging, amateur and youth performers.